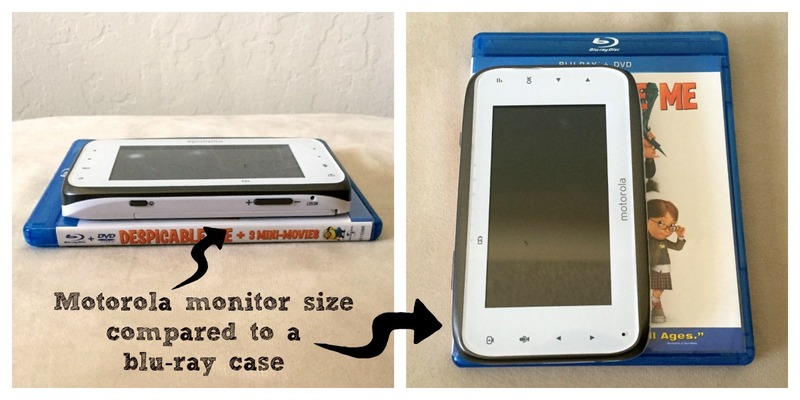 Lunchbox Dad: Does This Motorola Baby Monitor Help You Spy on Your Kids Better? 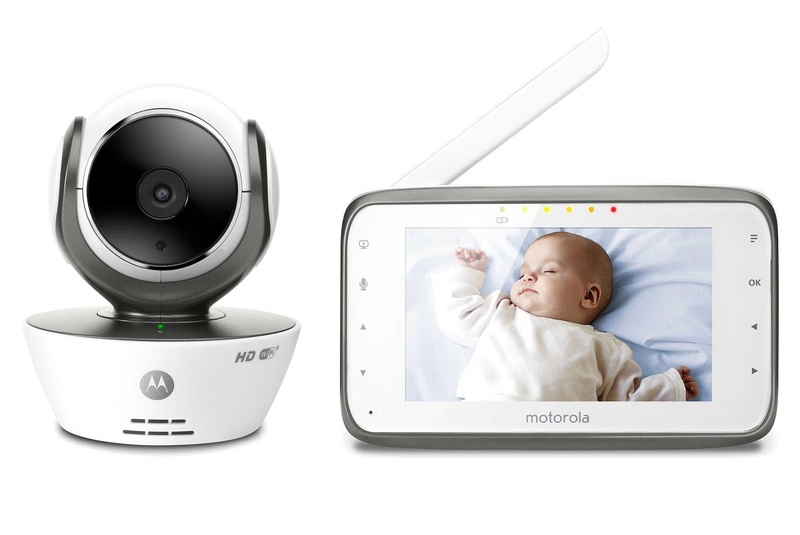 Does This Motorola Baby Monitor Help You Spy on Your Kids Better? Some say silence is golden, but every parent knows silence is suspicious. When I had my first child, we had an old-school audio only baby monitor that barely let you know when the child was crying. The battery lasted almost as long as a clean living room occupied by preschoolers. Over the last month, I have tested out the new Motorola MBP854Connect video baby monitor. Let's just say, when compared to my old monitor, it was like comparing filet mignon to your baby's turkey dinner in a jar. It felt like going from black and white television to a high definition TV. This Motorola baby monitor isn't perfect, but it sure is leaps and bounds above most of the baby tech stuff you will find at your local store. Let's first talk about the pros. The camera can be mounted almost anywhere. Ours hangs on the wall like Spiderman waiting to catch The Green Goblin. My baby sleeps in his crib in my daughter's room. Not only can I watch to see if he is waking up, but I can catch my daughter trying to be sneaky. She thinks she's smoother than she is. I kind of feel like the FBI on a stakeout. The other night, I told her it was time for bed. She likes to read books before she goes to sleep, but it was already late. A few minutes later, my wife and I remotely swiveled the camera to see what she was up to. We both giggled in anticipation because we knew what was coming next. I used the built in microphone to yell, "Hey!" It was like a voice from heaven had told her to stop messing around. She threw everything to the ground and instantly pretended to go to sleep. Sweet victory was ours. That remote swivel function is probably my favorite feature. It is easy to operate and barely makes a sound. The picture on the handset is nice as well. Don't expect the same level as your blu-ray player, but it's pretty clear nonetheless. There are many adjustable features, but if you have multiple kids, you only really will care that it is very simple to use and helps you spy on your children. Another helpful feature is the free Hubble app for your smartphone. It is a smaller picture, but it is great when you don't have the handset nearby. Plus, you can check in on your family while you are at work. This kind of freaks out our dog, though. There are only a few cons. The zoom function isn't very useful. There are only two levels of zoom. So if you are one of those helicopter parents who needs to intently watch every breath their child takes during a nap, you might be disappointed. If you are a veteran parent who just wants to make sure their kid is still asleep, then this will be fine. The other con is the price point. This model will cost you around $300 which is a bit higher than some models. However, if you want a clear picture, to easily move the camera, to scare your kids by knowing everything they do, and most importantly to have a monitor that works when you need it, then the price is worth it. I personally love the Motorola MBP854Connect baby monitor. I would highly recommend it overall. You can learn more and buy it HERE. The technical stats are below if you have the need to compare it to other models. Otherwise, just buy it, you won't be disappointed. Disclosure: This product was provided to me by Motorola for the purpose of this review. I have received no compensation and the opinions expressed are strictly my own.